After having spent the last 15 years of our lives living on a professional wage which we mostly spent on wining, dining, travel and entertainment in general, setting a restrictive daily budget for traveling around the world was no easy task. Expensive dinners and wine had to be set aside and replaced by affordable accommodation and street food. Even our style of travel changed. Whereas we would, previously, rather take a more expensive flight to arrive more quickly to our destination, 12-hour night buses had to become the order of the day (or night). 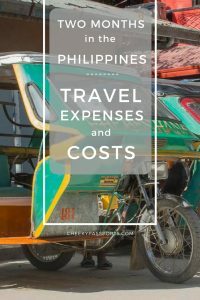 Michelle has meticulously noted down every single expense that we made during our 58-day stay in the Philippines and we have sorted them out so that we can now publish our full list of travel expenses in the Philippines. We’re also sharing some of our tips for traveling on a budget! Check the latest accommodation prices in Manila on Booking.com and Agoda. Our criteria for accommodation is a clean double room with a private bathroom and fast wifi. We soon discovered that latter is almost impossible to find in any type of accommodation in the Philippines, so putting the wifi requirement aside, a range of budget accommodation to suit all tastes is widely available. Since we were traveling around in peak season, a lot of the accommodation we would have preferred staying at was fully booked, and sometimes we had to choose more expensive hotels due to the unavailability of our preferred accommodation. We strongly advise you to book ahead during peak season, more so if you are traveling during Easter week, during which internal tourism by Filipinos is on at full blast! 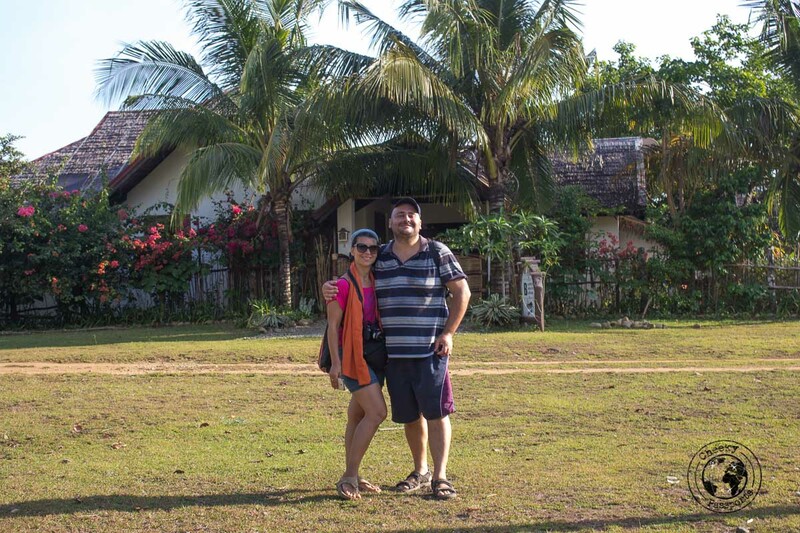 This was the greatest surprise of all when reviewing our travel expenses in the Philippines. Traveling around the country can be very complicated and fully-booked destinations and rumours of terrorist attacks meant that we changed our plans around all too often. Our movement from one destination to another was not always “logical” but rather, depended a lot on availability of transport options and accommodation at that particular time. This greatly contributed to our high transport expense. 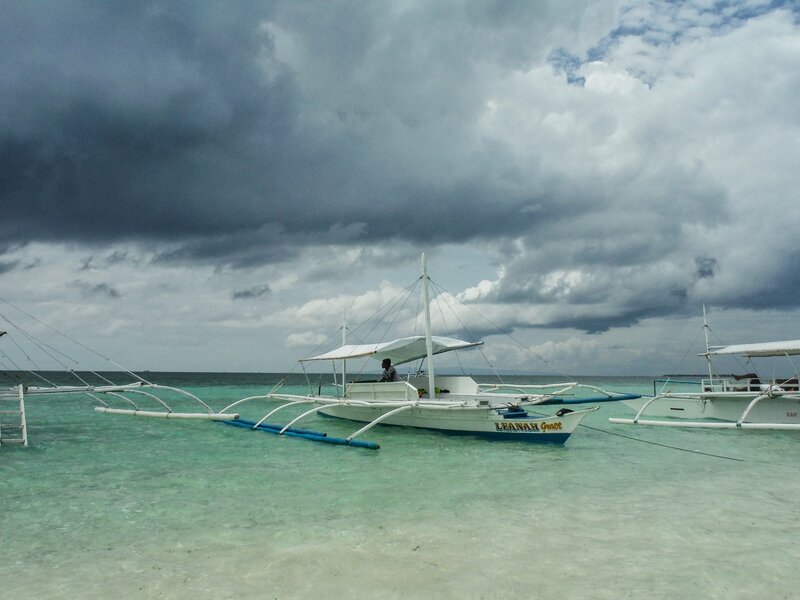 For example, Sibuyan was not on our original plans but after having found that most places around Cebu were fully booked, we made our way there and planned to stay for 5 nights. Accommodation was 25% more expensive than our original budget. Since we didn’t find a way to get off the island (all transport out was fully booked), we ended up staying for 9 nights there (which we didn’t mind at all), but it did mean that we spent a little more on accommodation and eventual transport than what we had originally planned. 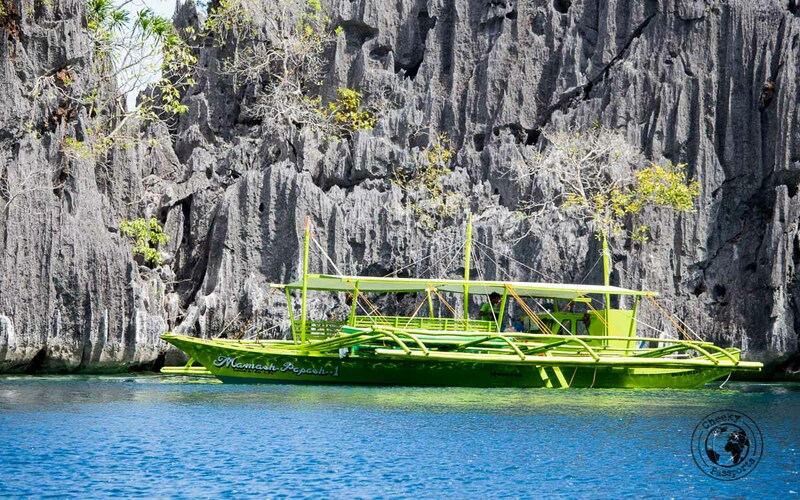 Transport included aircraft, ferries, day and night buses, jeepney and trikes as follows. 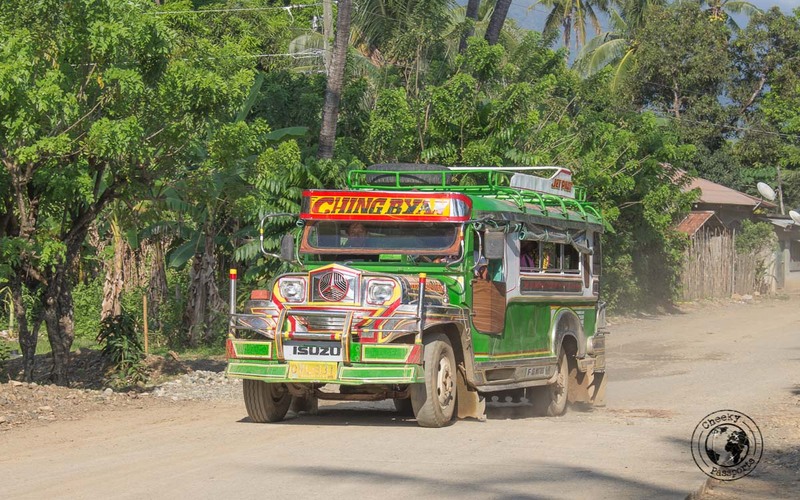 The cheapest way to get around in the Philippines is by Jeepney which consists of an overloaded public vehicle usually running between different parts of town or neighbouring towns. 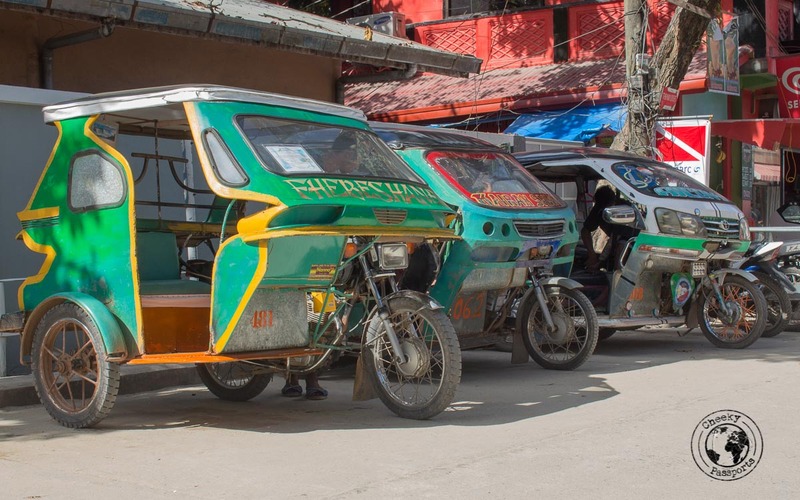 Jeepneys are very cheap and if you don’t mind the discomfort, or you’re not carrying around too much luggage, they are surely the most affordable way to get around. Prices are somewhat standard. Tricycles are similar to rickshaws and basically consist of motorbikes with a homemade sidecar. Every different city or region seems to have their own design for building a trike, and most are painted differently. For example, all the ones we saw in Bohol had a liturgical verse painted on the side or back. Trike costs depend on distance travelled. They are not usually expensive but prices should be negotiated and pre-agreed upon. 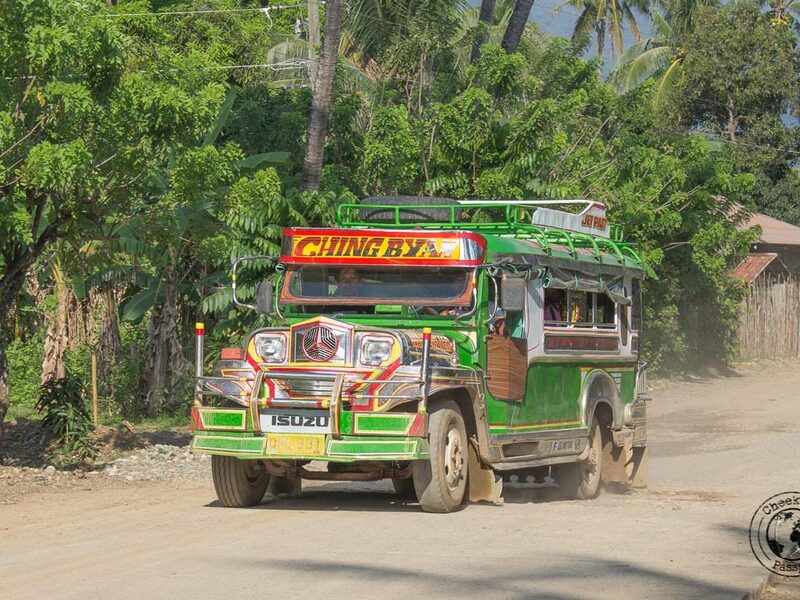 Another affordable way to get around and pretty much the only way to get around in some remote place, like Sibuyan. We drove a bike several times during our stay in the Philippines and rent and fuel expenses are included in the total transport cost listed above. 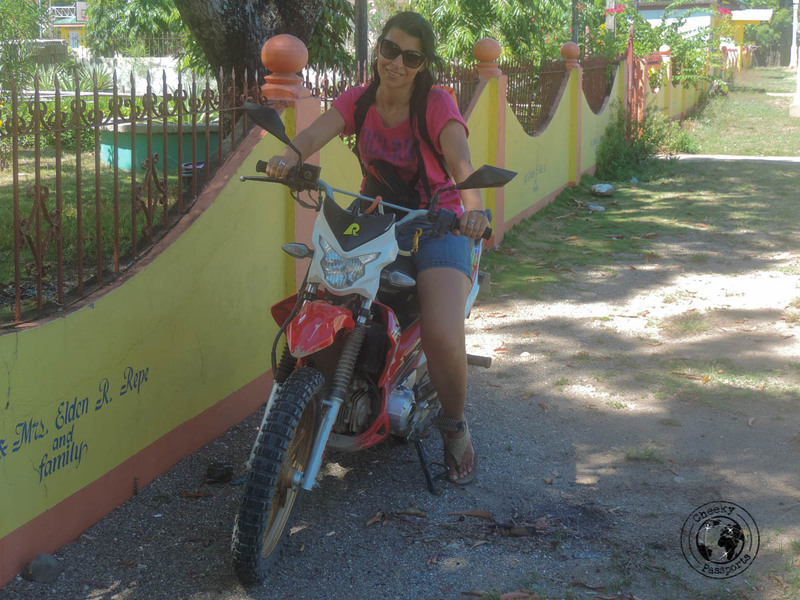 Renting a bike for the whole day will generally cost PHP300-500 (€6-10), depending on the region. 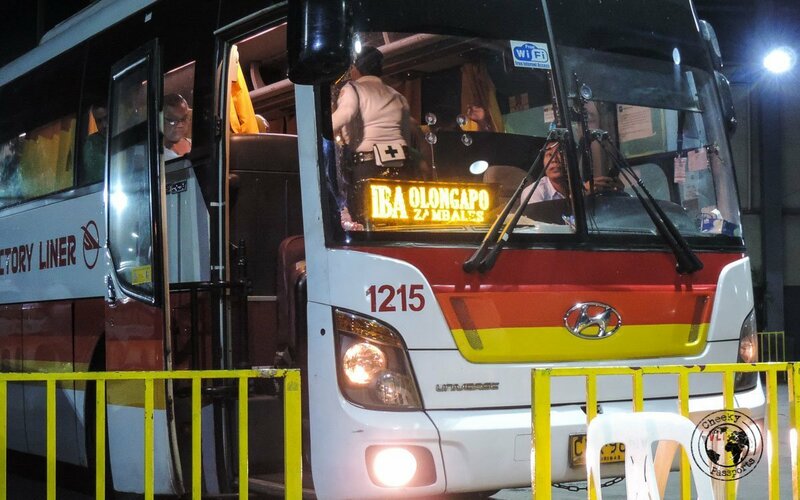 Day and night buses are the most comfortable way of traveling on the road and, depending on the company, sometimes include reclining seats and air conditioning. The price difference between a/c and non-a/c coaches is usually negligible, so an a/c bus is recommended for long journeys, although you rarely get to choose! Your choice of bus, will most often depend on availability rather than comfort. Always carry warm clothes with you though since the a/c buses can get really, (but really) cold! On popular routes, plastic chairs may be used to occupy the middle aisle so extra passengers are allowed on. Go on early and try to avoid these seats, which could make your ride very uncomfortable! 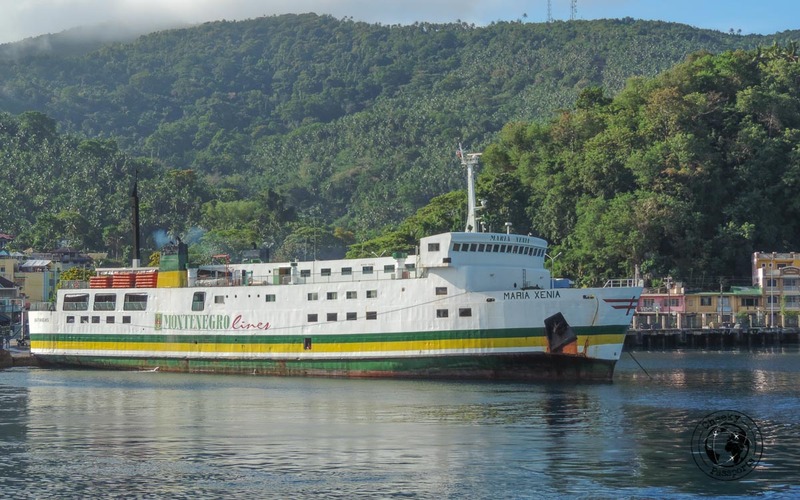 There are several ferry companies in the Philippines, with larger companies plying more than one route. 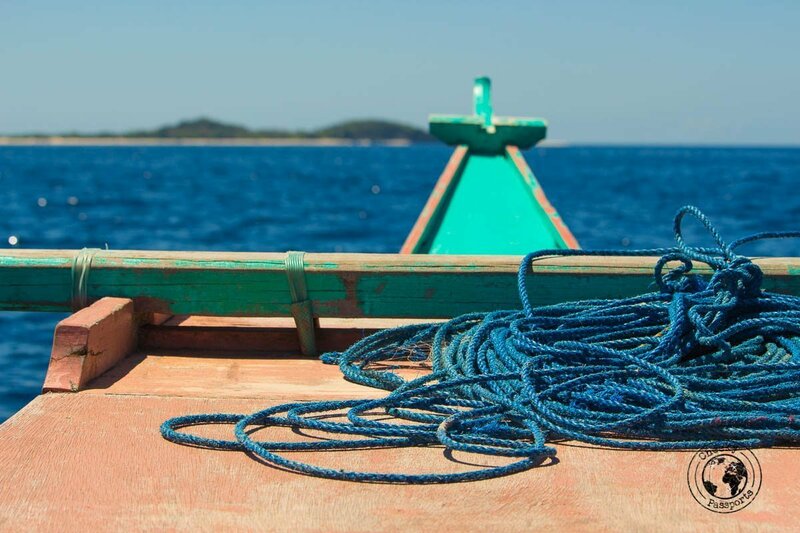 We used Montenegro and 2GO services and can honestly attain that 2GO offers the better service, with cleaner and more organised boats, and not much of a difference in price! 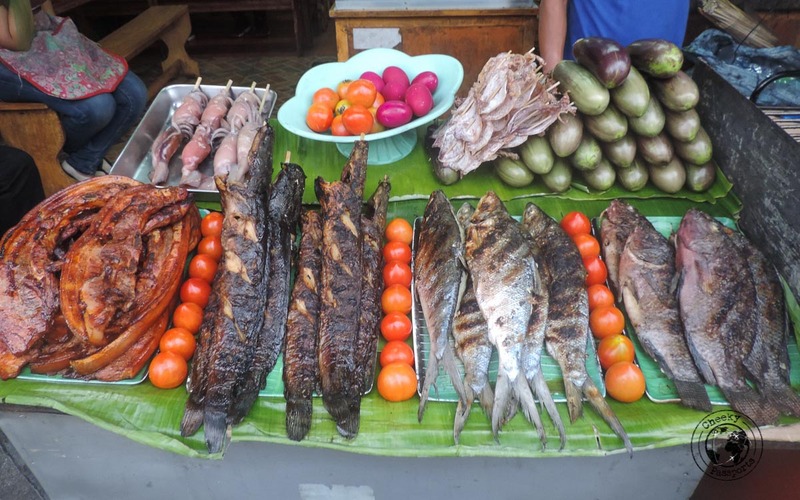 Food in the Philippines is quite cheap unless you dine out at restaurants every day. We prepared our own food wherever could, and purchased groceries from large supermarkets which tend to be cheaper than smaller grocery stores. We ate lots of cheap but tasty and filling street food (take a look at the 15 street foods you must try in the Philippines) and dined at Carinderias whenever possible. Carinderias are local Filipino eateries serving a small selection of local food which you choose by pointing at whatever items you please. Usually the selection is a lot larger during the day rather than in the evening, since the dishes are not always replenished once they run out. After you make your selection, it is served to you with rice on a plastic table. The food is very local and you rarely know what it is you’re eating exactly, but it is usually very tasty and at around €1-€2 a meal, very affordable. Dining at such establishments greatly helped to keep our food and travel expenses in the Philippines under control! At € 106 for the length of our stay, this is a relatively large, but necessary portion of our travel expenses in the Philippines. This chunk includes the money we spent on 4G internet (did I say 4G? I meant any shred of possible mobile data connection) due to the need of remaining almost constantly connected (for several reasons), especially since wifi connectivity was so poor in most places. We both carried Globe Sim cards on our phones loaded with data and also carried a mifi router having both a Globe and a Smart Sim card loaded with data since the coverage from each provider is very unpredictable and unreliable. This data overkill, ensured that we were connected to basic internet (almost) everywhere we went except for Buscalan. This expense is inevitable if you want to see some of the most beautiful parts of the country although it is very important to choose your excursions carefully and check whether some of the activities can be done more cheaply or for free (for eg. not hiring a guide to see the rice terraces in Batad). Some activities in the most touristy places can be quite expensive (think the boat tours of El Nido and Coron or hiring a boat out to Cresta de Gallo in Sibuyan) but we feel that had we forfeited them we would have pretty much missed the whole point of traveling to a country like the Philippines! We also spent € 0.45/day on miscellaneous items such as toiletries, storage of luggage and similar.